This week saw the introduction of bills to repeal the WV Supreme Court of Appeals Public Campaign Financing Program (SB 463) and impose strict identification requirements in order to vote (HB 2781). The voter ID bill would also eliminate automatic voter registration (AVR) at the Division of Motor Vehicles. We need your help to keep these terrible proposals from moving forward. In 2010, following a series of scandals involving sitting justices and major campaign contributors, our legislature voted to provide an alternative option to the way we finance judicial elections, recognizing that we needed to restore confidence in our state Supreme Court. Unfortunately, in response to record spending by outside groups in the 2016 election, a misguided group of State Senators want to repeal the public financing program because they say it isn’t working. There’s no denying that third party spending on attack ads is a problem. However, repealing the public financing program because this past election saw a flood of secret outside money is like blowing up a dam during a real flood because water is pouring over it. The program is working as intended, giving qualified candidates for the court the ability to run without having to rely on contributions from lawyers and special interest contributors who frequently have cases before the court, and providing a pathway to the bench for those who aren’t independently wealthy. Rather than repealing the public financing program, we should work to bolster the independence our judges against big-money influence from out of state special interests with common-sense disclosure and transparency laws like SB 64. Sadly, the repeal bill is likely to be taken up by the Senate Judiciary Committee next week. Please contact Senate Judiciary Committee members and your senators and tell them to oppose SB 463. 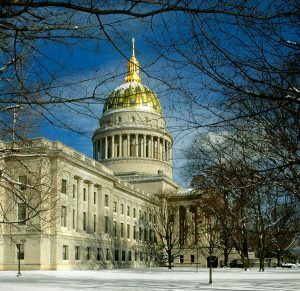 Tell them to strengthen West Virginia’s disclosure laws by supporting SB 64, which would help discourage the flood of secret money in our elections. The attempt to repeal public financing is not the only attack on democracy introduced this week. 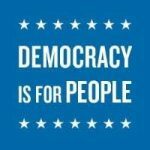 In the House, several delegates have introduced a bill that would repeal the automatic voter registration (AVR) provisions enacted as a compromise to last year’s voter ID law, and further restrict voting rights by eliminating several forms of identification that would be accepted when the goes into effect next year. Voter ID is just targeted voter suppression. Please contact House Judiciary Committee members and your delegate(s) and tell them to protect AVR and oppose these shameful, unnecessary restrictions that make it harder for eligible voters to cast their votes. AVR and West Virginia’s participation in the Electronic Registration Information Center (ERIC) will help ensure our voter rolls are accurate. Errors in the voter rolls aren’t a sign of voter fraud, they are a sign we need to improve our voter registration system. We should be making it easier to register and vote, not harder.